What is Electronic Data Interchange (EDI) Application? "What is Electronic Data Interchange (EDI) Application?" What is Electronic Data Interchange, or EDI? This whitepaper brings you the benefits of Electronic Data Interchange solution in simplifying your business transactions, saving time and money by eliminating paper documents, and improving overall customer satisfaction. 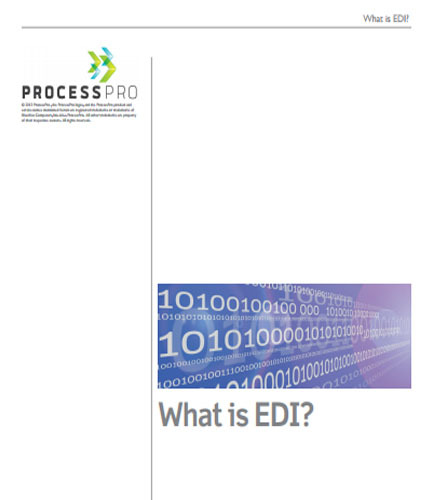 How does the process of EDI application actually work? What are the things that should be included in your purchase and partnership when choosing an EDI application? What is the key hindrance to a successful implementation of EDI? Download this informative whitepaper to find out how your business can run more efficiently and effectively with implementing an EDI solution.